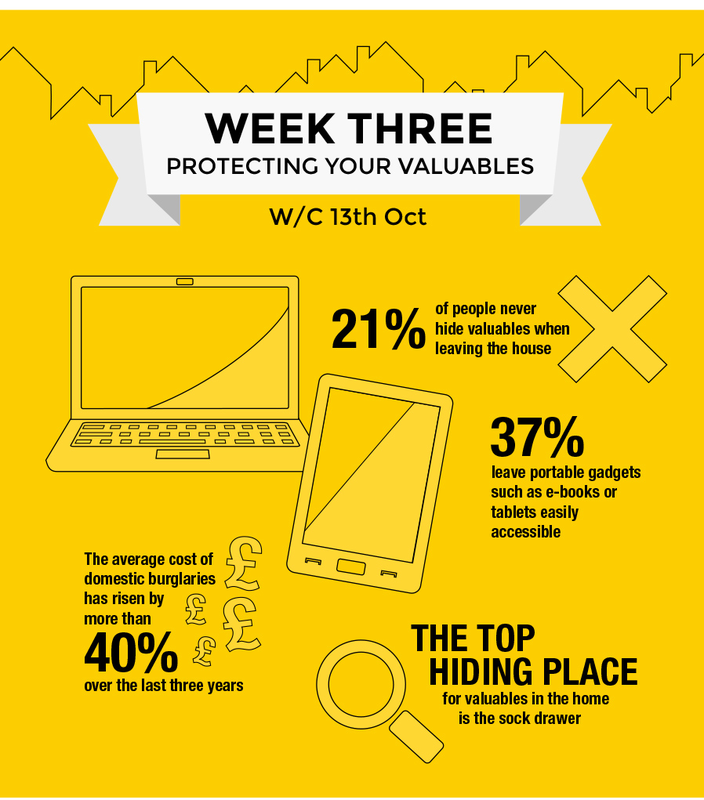 Small home safes are another defence against property thefts from the home. Electronic or key operated safes can be used to store high value and important items such as jewellery and passports. A small home safe will be supplied with mounting bolts that are used to bolt the safe to a wall or the the floor, this also give almost endless possible mounting positions. Under the stairs or in a cupboard / wardrobe are favourite places to mount a safe. Key safes can also be used within a home to store car keys. As vehicle security features have improved, car thieves now have only one option to steal a car, and that is by getting hold of the keys. Often a criminals will break into a house just to get access to car keys, fishing through a letterbox with a long metal wire is another well know method to get access to a set of keys. Security marking of personal property can discourage burglars from stealing your possession. Marking can be carried out in a number of methods, some that are very obvious, others that are not so. A permanent marker can be used to write over the item, this is a quick and easy way to prove possession, but does deface your belonging, engraving can also be used to permanently mark an item with a hard surface. Invisible marking can be used to good effect, but will not deter a theft as the deterrent is invisible to the naked eye, in this case window stickers can be used to highlight this security measure. UV pens or forensic markers are good example of invisible markings, both of which can be used to prove ownership. Some items such as jewellery, artwork or antiques are not suitable for marking, in this case it is a good idea to take photos of such items and then store in a safe place.